My farmstead poultry flock is sustained by a handful of broody hens—female fowl who have somehow retained their ancient instinct to nest and hatch offspring. Broody hens respond to their primal calling to sit patiently on a clutch of eggs for 21 days, stubbornly refusing to leave their nest while passionately defending it against all perceived threats. This maternal instinct only intensifies when chickens1 emerge from their eggs, as even first-time mother hens nurture their young, guiding them with coos and clucks2 into their given world. Fostering this ongoing bond between mother, young, and farm provides a perpetual supply of meat and eggs that cultivates a continuous bond to our place. This happy arrangement of chicken and egg is no longer the norm on the modern American farm or homestead. 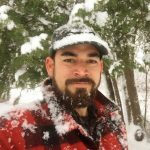 To understand why is to understand the way industrial patterns of production and consumption have come to dominate American culture over the past century. Up until the 1920s, chickens were selectively bred and crossed for their “dual-purpose” ability to produce eggs and provide meat while being adapted to local conditions. The variety of chicken breeds identified and described by poultry associations in Britain and the United States illustrate the extent to which economic value was integrally tied to local adaptation. The connection between poultry and place has been eroding since poultry farming began industrializing in the 1920s. As transportation networks widened, poultry farms concentrated in areas with the best access to large markets and cheap commercial feed. Regional hatcheries using electric incubators began mass producing chickens for mass consumption. By the 1950s, these specialized components of the poultry “industry” were consolidated by major companies to more efficiently produce poultry products that were more convenient to consumers. Local adaption and the broody trait were considered unnecessary in this new arrangement; only a few hybrid breeds are now used by the industry to efficiently produce meat or eggs, neatly packaged and cheaply purchased. Broodiness creates all kinds of production and management issues that conflict with the principles of “efficiency” and “convenience” that govern the modern way of life. Today, broody hens are considered by all industrial farmers and many homesteaders as unnecessary and uneconomical. That is, broodiness creates all kinds of production and management issues that conflict with the principles of “efficiency” and “convenience” that govern the modern way of life. The hormones that cause broody behavior also cause weight loss and hinder egg production. 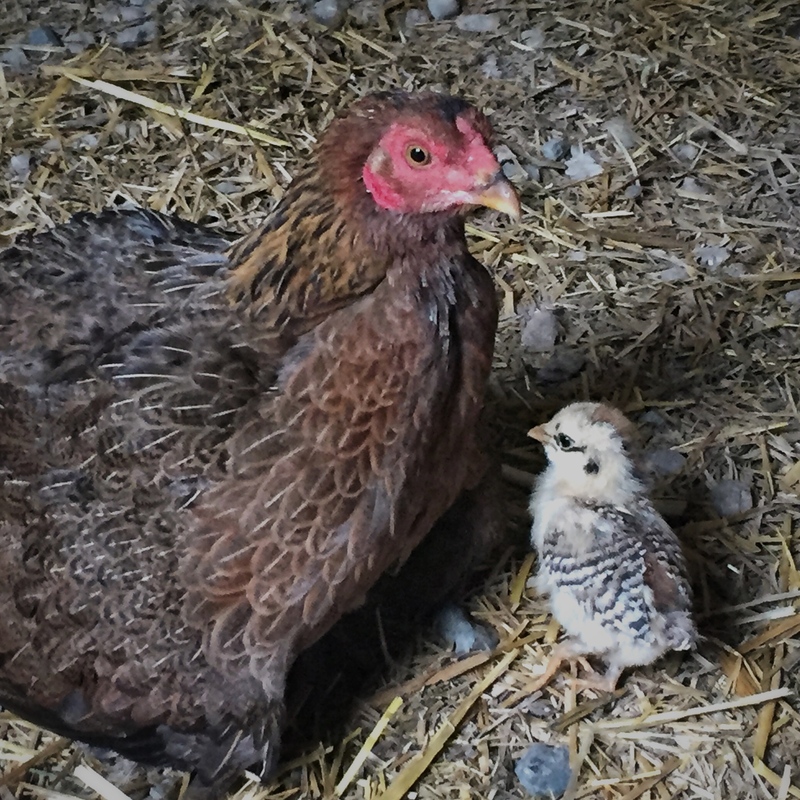 Managing broody hens requires a high level of attention to regularly collect eggs to prevent partial development of their yolks, break broody behavior when it is undesired, and care for broody hens who have settled in to go the distance. This short list of responsibilities would have been enough to discourage my ambition to keep a self-sustaining flock had I not witnessed an alternative possibility during my years living in Africa. When we began sourcing food for our household in Uganda, we quickly learned the difference between local and mass produced poultry. Rural and urban Africans alike overwhelmingly preferred “local” eggs and meat to their “exotic” mass-produced cousins, and would pay twice as much for them. In villages, most families had a few broody hens that stayed in their homes with their hatchlings at night for safety, while foraging for their food during the day. Local chickens were preferred by Africans simply because they were easier to raise and their eggs and meat tasted better. Recently, international agricultural development “experts” have acknowledged the virtues of localized breeds and indigenous animal husbandry in the small-scale agricultural systems that are typical in Africa. My journey with broody hens began with an impulse purchase four years ago. 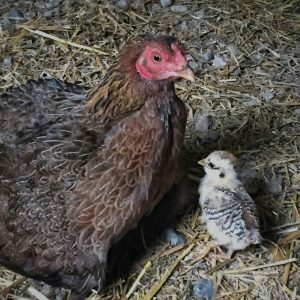 I responded to an off-season special for “rare breed” chicks from a commercial hatchery and received an assortment of every size, shape, and color they had. After they matured through the winter, a few young hens from older bloodlines went broody as the spring days lengthened. These hens exposed our agricultural ignorance and complicated our simple backyard operation. There are few things more discouraging or unpleasant than cracking an egg for an omelet and discovering a partially developed embryo. We eventually learned to harness these special hens. Using plans from Harvey Ussery’s excellent book on the Small-Scale Poultry Flock, we partitioned off secure spaces in our coop and now move nesting birds and their clutch of eggs into them late at night when they are more relaxed. After the chicks are hatched, we keep mother and young separated from but in sight of the flock until the chicks are about 6-8 weeks old. When the mother hen leaves her brood to join the flock, we’ll give the chicks a few more weeks in their secure space before integrating them into the group so they can handle life at the bottom of the pecking order. Broody hens have been a major part of my formation as a farmer and the formation of our farm. They have taught me to think beyond the kind of input and output thinking with which I have been conditioned to approach most endeavors and to pay attention to the natural rhythms of birth and death that more holistically link husbandry to harvest. The flock sustained by broody hens is infinitely more interesting: Natural born chicks behave differently than their industrially-produced cousins as the maternal bond produces tangible benefits commercial operations can only mimic. We seldom order new stock from hatcheries and have a number of unique cross-breeds in our flock. We’ve learned to deal with excess roosters (normally avoided by ordering hens online) by butchering them at home or exchanging them with others to ensure genetic diversity. 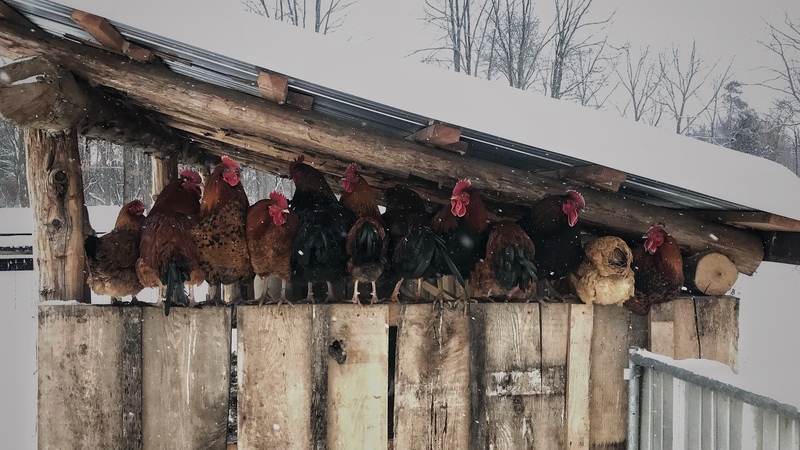 We are still new to these older practices and purchase a majority of the chicken we consume from the grocery store, but our broody hens offer the possibility of a farm and home sustained more fully by a local agriculture.